Discover our facilities conveniently located in the medina of Marrakech, a few minutes from the famous Jemaa El Fna square. Welcome to Marrakech in video ! 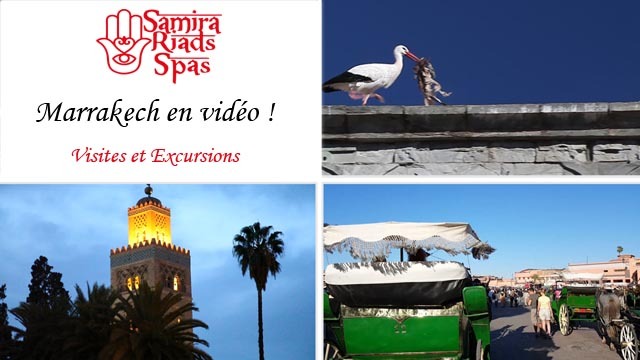 All these videos are visible in every riad and spa. A woman is behind that oasis, Samira Riads And Spas. 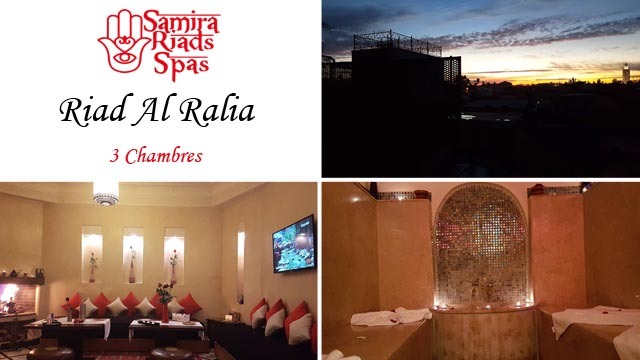 Samira, A well-known and respected tourism professional, has become more than a brand in Marrakech, created that chain of riads which provides a fullfilled experience of joy and happiness of the traditional moroccan cultural heritage. Having the most licensed personnal, Samira Riads And Spas offers a great itinery of restaurants ; cooking classes and authentic homemade food available to the guests. 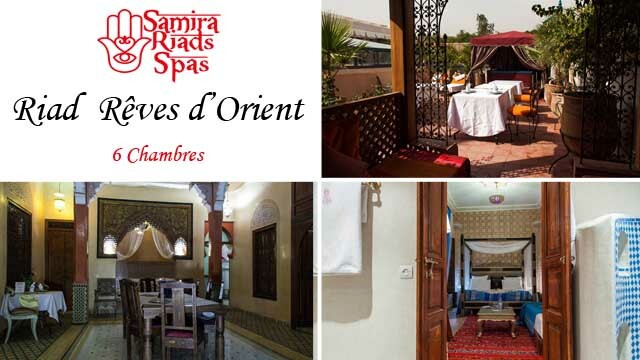 The stay at Samira riads in the old medina ( Riad Princesse du Désert, Riad Zehar, Riad Rêves d’Orient, Riad AL Ralia), is a visit to a depicted reflection of the moroccan cultural history (berber, arabic, andalucian and jewish heritage). 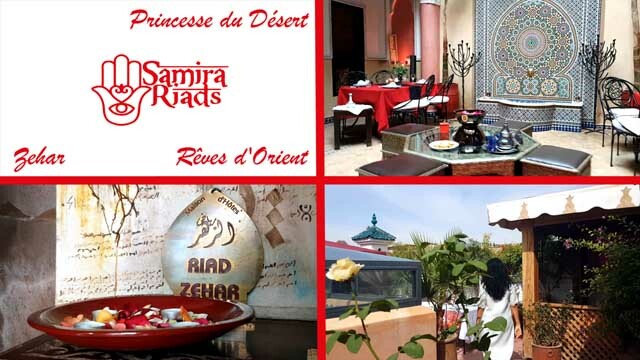 Therefeore, it is felt from the very first steps of the guests inside the family made Samira riads. All the riads are decorated with antique plaster and tadlakt as well as the mosaics complemented with the moroccan atmosphere portrays joyful moments to end up in 10001 nights feel. Hammam Rosa Bonheur and Hammam Paradis – delightfulness of the mind as well as the body. A trip to Morocco without a visit to Hammam Rosa Bonheur is an unfullfilled dream. Its an overall unique experience of the history of the moroccan beauty coupled with its essential features that pleasures the mind and senses. Located few minutes from the famous Jamma lfna square in Marrakech, Hammam Rosa Bonheur welcomes you with open hands to a resort providing traditional therapeutic natural products.